If you’ve heard of Cooperstown, you probably know about its association with baseball, and it’s true, it is a dream destination for fans of the sport. But it’s also a charmingly quintessential small American town that sits on a gorgeous lake, packed with fun activities for the whole family. No matter what pastimes you’re into, learn why this is the perfect place to visit with kids. And don’t be surprised if everyone walks away with a bit of baseball fever—or at least a bit of baseball appreciation. 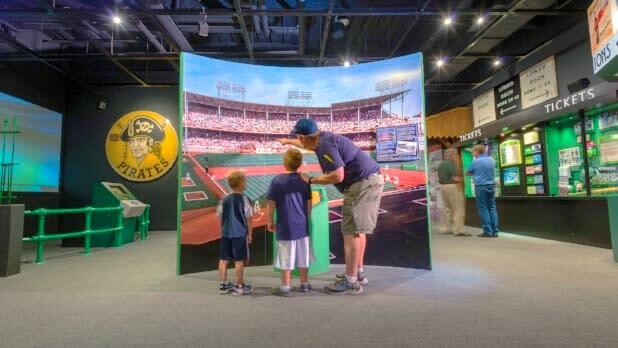 The Baseball Hall of Fame does indeed have a great big hall with more than 300 bronze plaques of the greatest players, but there’s so much more to experience. The museum does a beautiful job of bringing baseball history to life and illuminating the sport’s role in American culture. You’ll see films, exhibits about the first women’s and African American baseball leagues, as well as uniforms, bats, balls, mitts, and much more memorabilia. It’s everything an obsessed sports fan would want to see, but it also packs in enough history and culture to entertain a non-superfan. 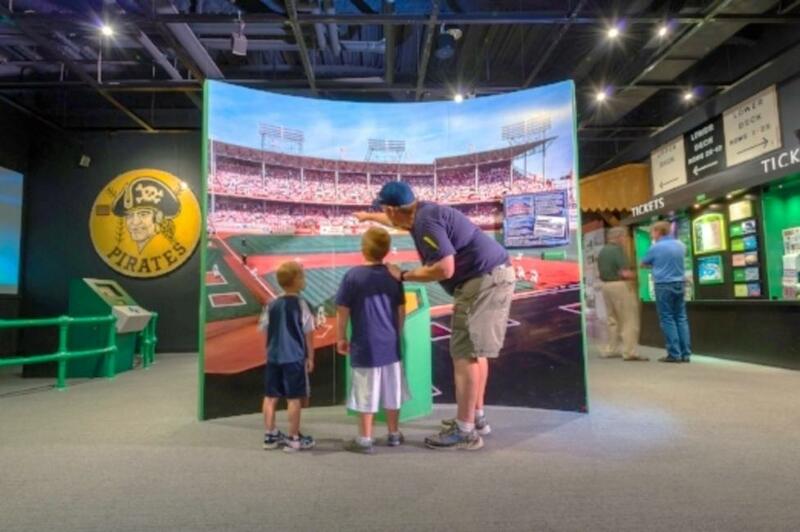 The museum has a Sandlot Kids&apos; Clubhouse and has even created a special scavenger hunt for kids that you can pick up upon entry. If kids can find all the items, they earn a pack of baseball cards and some Big League Chew bubble gum! 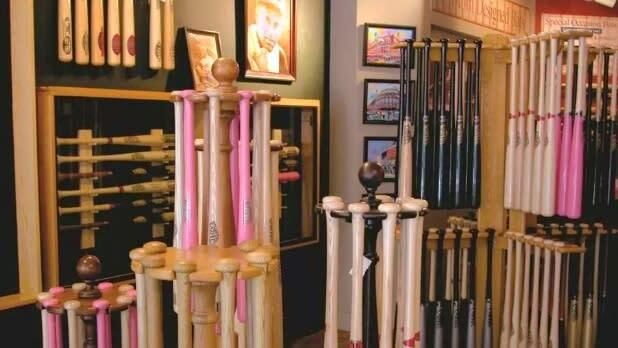 While you’re still on the baseball streak, head on over to the Cooperstown Bat Company where you can see how bats are made, starting from a smooth, straight piece of wood. The staff will engrave a line of text into a brand new bat for free—in less than an hour!—so this is a good spot to pick up the perfect keepsake from your trip. Plus, the folks who work there are super knowledgeable and friendly, so be sure to ask them which famous Major League players have used Cooperstown Bat Company bats! Americans have always been curious about the ways of the past, and the proof is in this living history museum which has been open since 1944, offering visitors the chance to explore what life was like back in the 1800s. You’ll be amazed to discover how New Yorkers used to live as you walk around the recreated historic village, interact with costumed “villagers,” and cross paths with the freely roaming (friendly) farm animals. See what an early pharmacy and school looked like and watch a blacksmith hammer out farm tools right before your eyes. 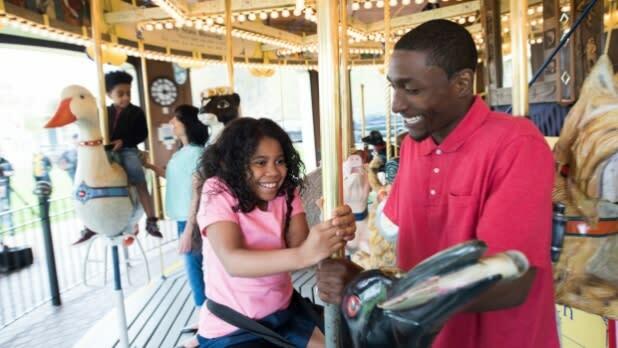 Kids can try their hand at arts and crafts, as well as take a spin on the museum’s own Empire State Carousel. Built in 1983, the carousel features 25 hand-carved animals, which, along with all the surrounding decorations, were crafted by 1,000 local volunteer artists. 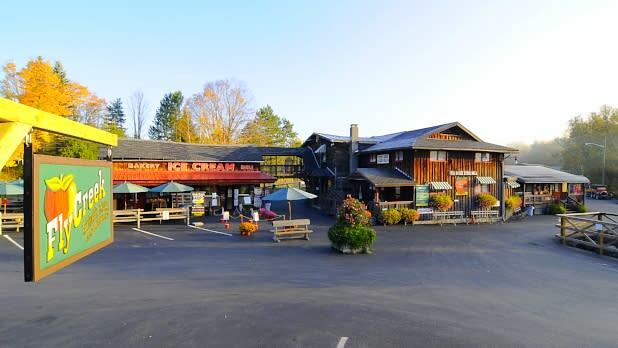 You’ll definitely want to come hungry when you visit the Fly Creek Cider Mill and Orchard, a 160-year-old water-powered cider mill. Take a tour around the mill, whose grounds include a pond where ducks and geese gather, and Tractorland, a kiddie play area. On a hot day, nothing beats a cold, refreshing apple cider slushie from the Snack Barn & Bakery (they have an alcoholic version for adults! ), which pairs perfectly with freshly baked apple pies and cider donuts. They also sell more than 40 specialty foods, including apple salsas, hot sauces, preserves, and fudge, that you can sample right in the shop. On fall weekends, watch the cider being made! 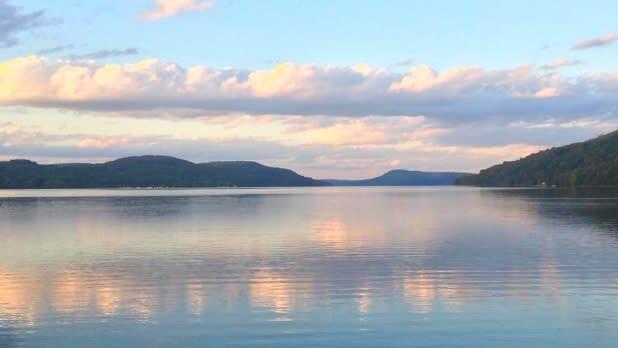 Cooperstown lies at the tip of the beautiful, oblong Otsego Lake which practically begs to be explored, and here’s the perfect way to do it. Hop on the well-maintained and comfortable Glimmerglass Queen and take the short but very sweet one-hour boat ride. The trip starts off with some narration about the history of the lake and surrounding area but for most of the ride, you’re left to enjoy the peaceful calm of the waters and surrounding sloping hills. There is a glass-enclosed lower level with a concession stand, bar, and seating, but of course, the best views can be found from the open-air deck. Tour tickets are first-come, first-served, so even though they don’t start ticketing until 15 minutes before departure, we suggest arriving earlier to ensure they don’t sell out! Seasonal, Memorial Day Weekend to Columbus Day Weekend. All aboard this train ride back in time! 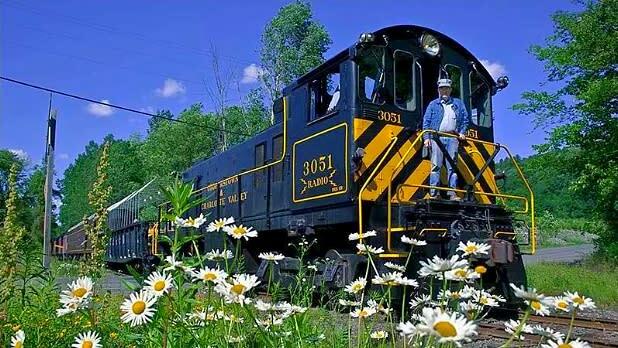 The Cooperstown & Charlotte Valley Railroad is for sightseeing more than actual travel, but as much as you’ll love the beauty of the passing natural scenery, the inside of the train is pretty fascinating in its own right. You can ride in passenger cars from the early 1900s, as well as a dining car and an open-air car. The train makes the 16-mile journey from Milford Depot to Cooperstown, and to up the ante, check out their schedule for special themed rides. Try the Cooperstown Blues Express, where you’ll share the train with a live blues band, or sign up to witness a live, action-packed mock train robbery! Take a snack break at Schneider’s Bakery right on the village’s Main Street. You’ll find brightly colored, delectable baked goods, including sugar cookies decorated with baseball-themed frosting (of course). Sink your teeth into fresh donuts and cinnamon buns with just the right amount of icing, and snag a few of the blueberry-packed muffins to go! 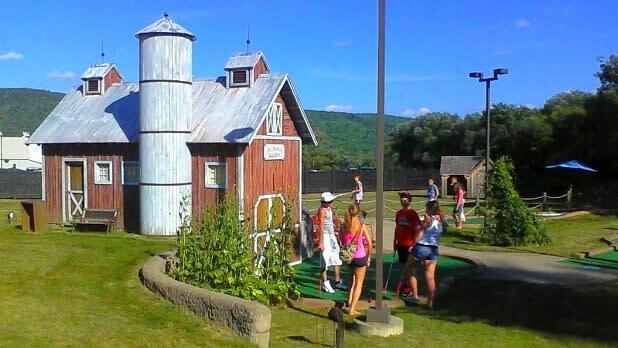 Get the whole family moving and crafting at the Barnyard Swing Mini Golf & Family Fun Center, just outside the village of Cooperstown. Relax by playing a few rounds on the 18-hole mini-golf course, or amp up the competition with a game of Wild West laser tag. They offer a special activity where kids can pan for gemstones and fossils, just like the frontiersmen during the California gold rush (except with the guarantee of striking gold), and whatever you find is yours to keep. Head over to their Cooperstown Metal Works to make your own, unique stamped metal jewelry, or paint and fire up your own pottery. Last but not least, grab a cone of soft-serve made from local dairy from the Sassy Cow Ice Cream Counter, which comes in unique flavors such as orange creamsicle, caramel cappuccino, and cotton candy! We can’t promise any actual fairy sightings at Fairy Spring Park, but we can promise an amazing family-friendly beach where kids and parents can take a dip in Otsego Lake with lifeguards on watch. The park has its own picnic tables and a pavilion, making it the perfect spot for an outdoor lunch by the water. Take a running leap off the dock to escape the heat of summer and enjoy the refreshing lake water surrounded by gorgeous scenery. There’s only so much baseball info and culture you can absorb before you’re itching to swing a bat with your own two hands. 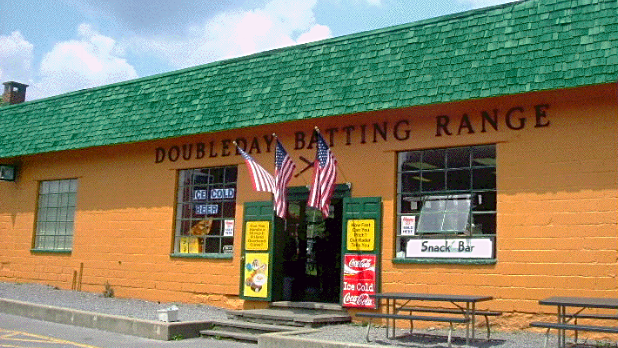 The Doubleday Batting Range is a classic go-to for families after they’ve made their way through the Hall of Fame and Museum and Cooperstown Bat Company, both of which are only a four-minute walk away. You can choose from a selection of speeds and pitch types on the same types of batting machines used by Major League teams. Test your skills and see if you or your kids are Hall of Famers in the making! 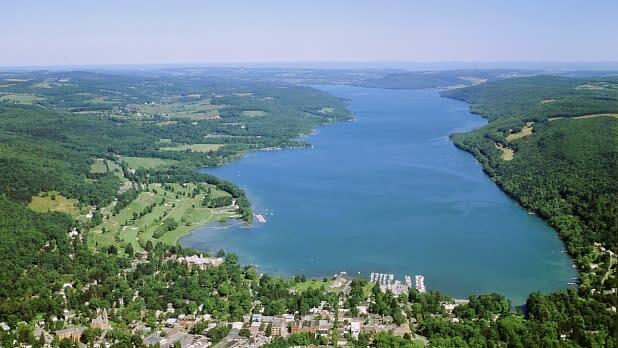 See Otsego Lake from new angles by renting a canoe, kayak, or SUP (stand-up paddleboard). Just a five-minute drive north of Cooperstown, Canoe & Kayak Rentals and Sales has your hookup for everything you need, including life vests, paddles, and free basic instruction. They’ll also help you (and your boat) get in and out of the water. They even carry boats and paddle boards that can fit the entire crew so you have the fun option of working together to navigate the waters. Don&apos;t forget to share your summer vacation with us! Share New York State pictures on Instagram and Twitter with #ILoveNY and #iSpyNY and tag us on Facebook!